Per questo martedì io e le mie amiche Twinsie ci siamo date come tema il passaggio stagionale dall'autunno all'inverno: è ora di tirare fuori maglioni pesanti, sciarpe e cappelli. 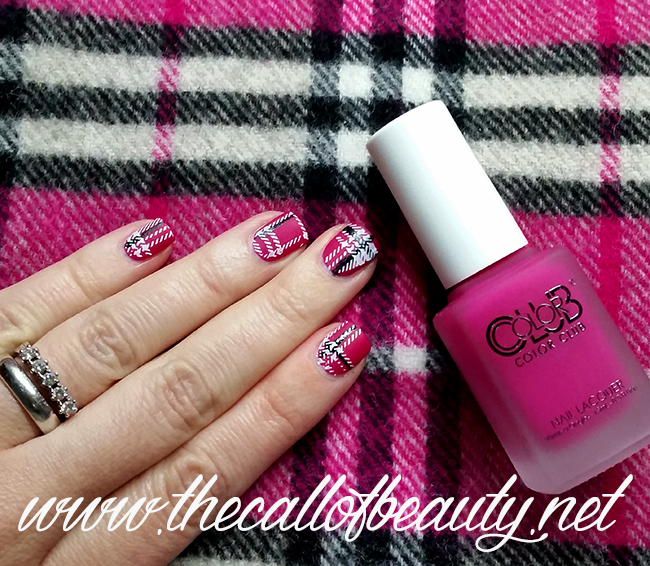 Detto fatto, ho preso la mia sciarpa preferita, una sciarpa fucsia con il classico tartan di Burberry, e l'ho abbinata alle unghie! 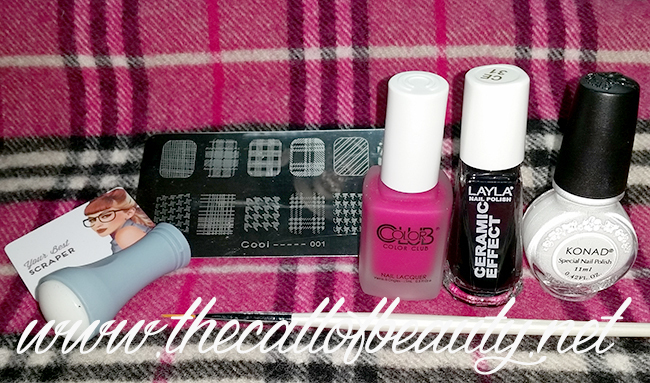 Come base ho usato Color Club First Base Only, un bellissimo smalto textured che ti avevo mostrato qui. Dopo aver applicato due passate di smalto fucsia con un pennellino ho tracciato alcune linee. Poi con il disco Born Pretty Store Cooi 01 ho stampato in bianco la trama tartan. Niente top coat per preservare l'effetto materico dello smalto. Anche tu abbini la manicure ai tuoi outfit? Io adoro farlo, trovi tutti i miei abbinamenti qui. Non dimenticare di andare a dare uno sguardo alle nail art create dalle mie amiche. This Tuesday prompt was fall to winter transition:it's time to bring our sweater, scarves and hats. 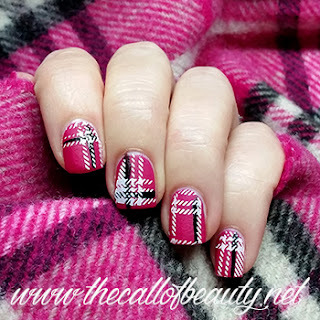 So I took my favourite scarf, a classic tartan Burberry in hot pink, and I matched it with my nails. For my base I used Color Club First Base Only, a beautiful textured polish that I showed you here. After two coats of fuschia polish I drew some lines with a thin brush and black polish. 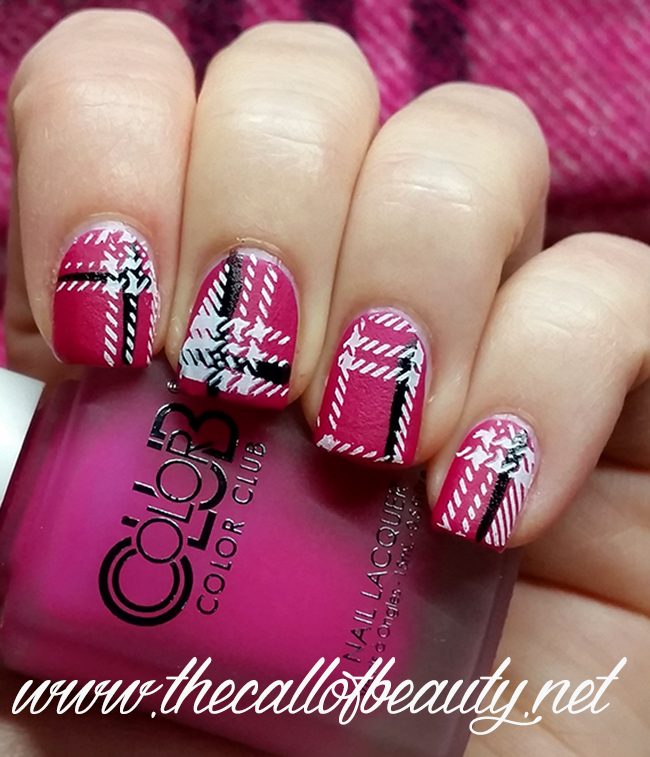 Then with my Cooi 001 Born Pretty Store plate I stamped the tartan pattern with white special polish. To preserve the textured effect no top coat for this manicure. 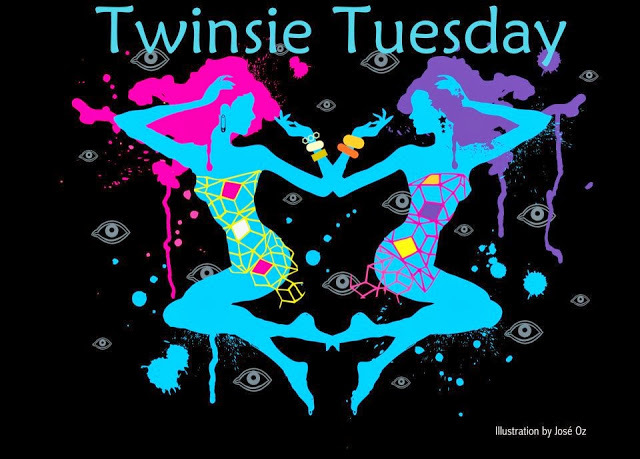 Do you match your maticure to your outfit? I love it, you can see my matchy manicures here. Don't forget to take a look at my fellowes mani too. These nails are so cute and match the scarf perfectly. I love them even if they are not perfect! These look awesome! The colors are really great! Thank you Marisa, I love matching outfit and nails! This is a beautiful mani! I've never seen a pink Burberry scarf - its really pretty! Thank you Nikkie, you are so kind! We must try a classic camel Plaid too, don't you think?